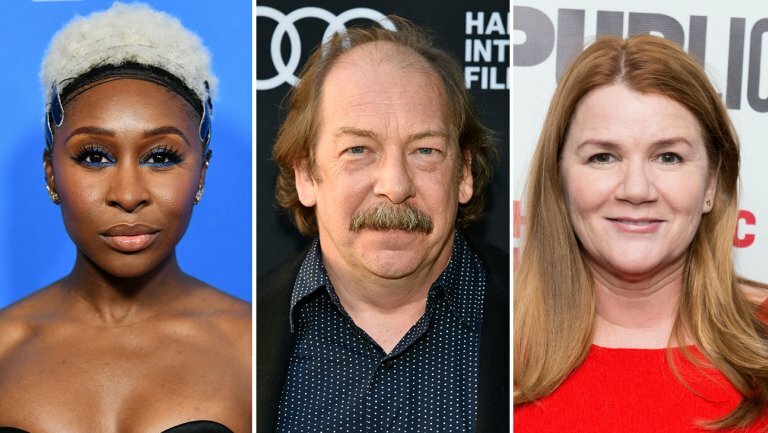 HBO’s series adaptation of Stephen King’s novel The Outsider has rounded out its cast, adding Tony and Grammy winner Cynthia Erivo joining previously announced castmates: Bill Camp, Mare Winningham, and Ben Mendelsohn. The crime/drama/supernatural thriller from Media Rights Capital previously cast Ben Mendelsohn, in the leading role. The Outsider is based on Stephen King’s 2018 novel, follows a straightforward investigation into the murder of a young boy. As it progresses, a seasoned cop and unorthodox investigator come to question everything they believe is real when a supernatural force edges its way into the case. What begins as a cut and dry casde turns into a bone chilling thriller you won’t be able to tear your eyes from. This is one show we’ll definetly we watching midday with all the lights on. Whose in? In the meantime you can snag a copy of the book HERE. We always love a great page to screen adaptation. Can’t wait to see what HBO delivers with Stephen King’s latest dark work.